An epicanthal fold is a skin fold of the upper eyelid covering the inner corner of the eye. It is often seen as a normal finding in very young children and is also common in people of Asiatic decent. 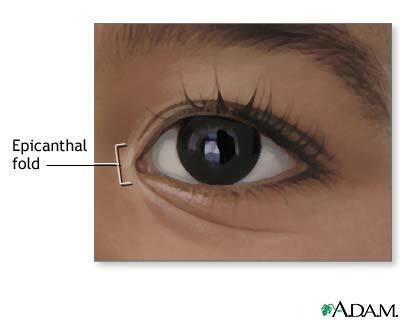 An epicanthal fold can be an important diagnostic finding in conditions such as Down syndrome.